At ACMS we pride ourselves on providing our clients with an installation solution individually tailored to suit their specific requirements. Our in house design and CAD specialist teams work closely with our sales and estimation staff to provide comprehensive designs. Working with Hevacomp and AC Calc heat load software we are able to undertake full design and build contracts, with fully co-ordinated drawings being prepared for tender review and prior to installation, and with as fitted drawings being updated on completion. Energy efficiency is a fundamental requirement in Building Services Engineering and when we design an installation we ensure this is taken into account and that current regulations and industry standards are adhered to. We offer the best in new technologies that include heat pumps, heat recovery, and inverter controlled equipment. Full information is provided to clients that includes levels of energy efficiency for all proposed products and all manufacturers. Within each of our offices, we have sales and estimation teams working with our clients on projects from initial concept, through to finalised proposals. 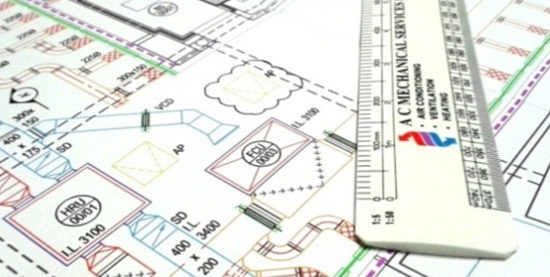 We carry out site surveys – a process of working with the client to establish what is required and what best solution will be, understanding your unique needs. Our estimation teams have extensive knowledge working with our schedules of rates, or by using our own in house developed costing software which enable us to provide quotations presented to suit all requirements. By building relationships with leading manufacturers for over 40 years, we have secured excellent rates and supply terms to ensure we provide the most competitive proposals to offer our clients. Various equipment we supply qualifies for the ECA scheme for energy saving technologies. We are able to advise on the eligibility of equipment for ECA and this equipment will be recommended to clients wherever suitable.